DETROIT -- Little Caesars founder and sports team owner Mike Ilitch was known for his number of contributions to the Detroit community, but many were unaware he quietly helped a civil rights icon. Ilitch, who owned the Detroit Tigers and Detroit Red Wings, passed away at the age of 87 last Friday. 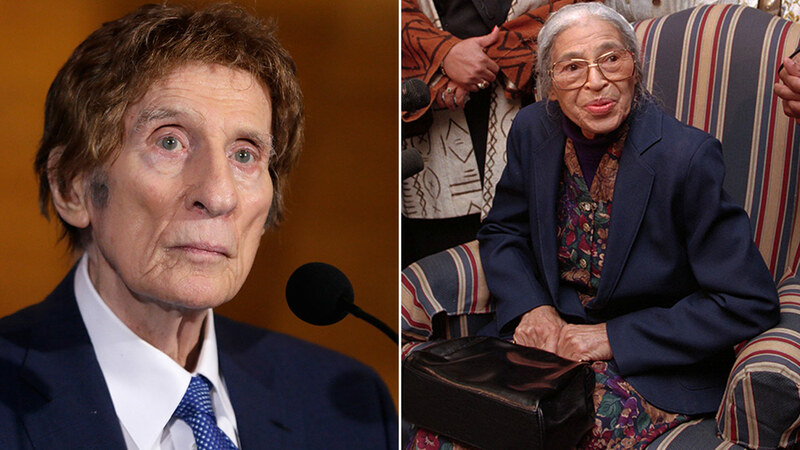 It was revealed in an article published by the Sports Business Daily in 2014 that Ilitch had paid for Rosa Parks' apartment for more than a decade until her death in 2005. Federal judge Damon Keith showed the Sports Business Daily a $2,000 check from Little Caesars Enterprises made out to Riverfront Apartments and dated November 1994. Parks had been mugged and robbed by a burglar at her Detroit home in August of 1994. Keith told the Sports Business Daily he vowed with real estate developer Alfred Taubman to find Parks a safer home. Once Ilitch heard about their plan, he offered to pay for her housing as long as necessary, which was until her death in 2005, the Sports Business Daily reported. "Of all the incredible things he has done for the city, people should know what he did for Rosa Parks," Keith told the Sports Business Daily. Parks became known as the "first lady of civil rights" and the "mother of the freedom movement" after refusing to give up her seat to a white passenger on a bus in Montgomery, Alabama, on Dec. 1, 1955. Her arrest sparked the Montgomery Bus Boycott and she was viewed as a catalyst to the Civil Rights Movement. On Wednesday, the community was invited to a public viewing for Ilitch at the Fox Theatre, a building he and his wife restored in 1989. The building served as the headquarters for Little Caesars since its restoration.